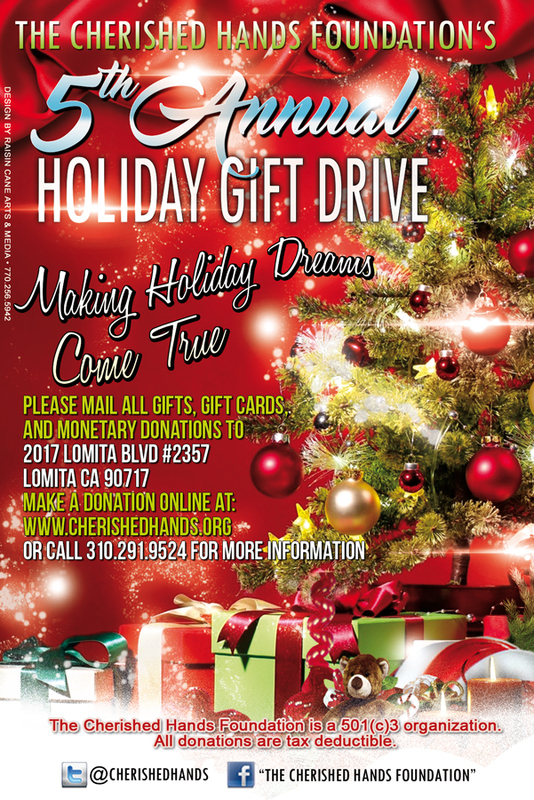 The Cherished Hands Foundation continues or mission or fulfilling holiday wishes One child at a time with our annual gift drive. 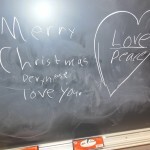 The holiday season is a very special time of year filled with laughter, joy and anticipation. Children dream of having a gift to open as they anxiously wait for their wishes upon a star to be answered. But for many of these children those dreams and wishes will go unfulfilled without your help. Please help us make their dreams come true. Bringing Magic to the Holiday Season. 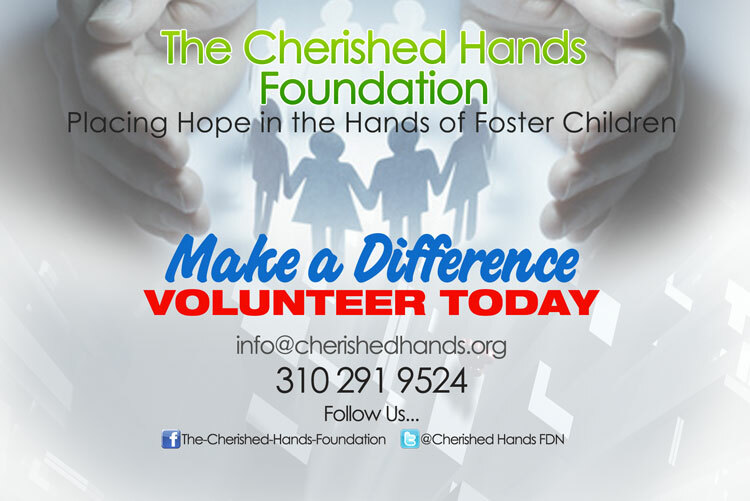 The The Cherished Hands Foundation would like to Welcome All Foster Children between the ages of 5-11 to enjoy an afternoon of fun, games, gifts, activities, and much more. 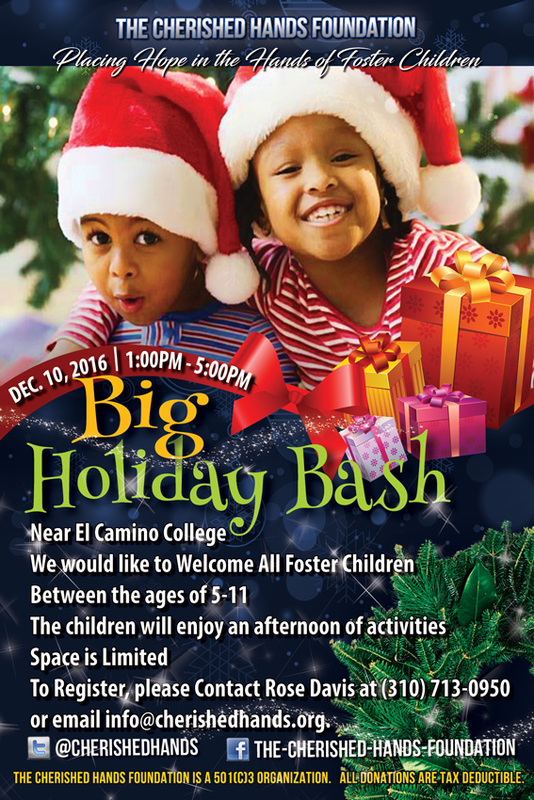 We would like to invite an encourage local celebrities, and public figures to please make an appearance at our BIG HOLIDAY BASH on December 10th. 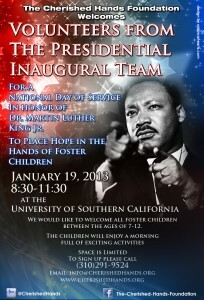 Help Us in this good cause to put smiles on the faces of 100 foster children. We value your time and support and your attendance is your donation and we are sure just a few moments of your time with these children will #makeadifference. 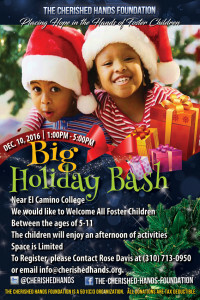 Please join for an afternoon of fun, games, gifts, activities, and much more. 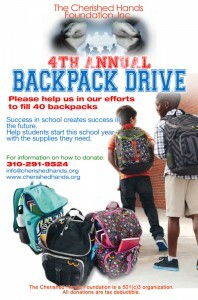 Each year, we provide new backpacks filled with school supplies to children in need. By providing them with the right tools, we help our kids succeed in school and give their parents one less thing to worry about. Success in school creates success in the future. Help us fill 40 backpacks with supplies this school year. We would like to welcome all foster children between the ages of 7-12. 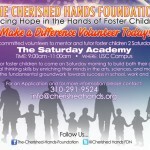 The Saturday Academy – Looking for committed volunteers to mentor and tutor foster children 2 Saturdays a month. 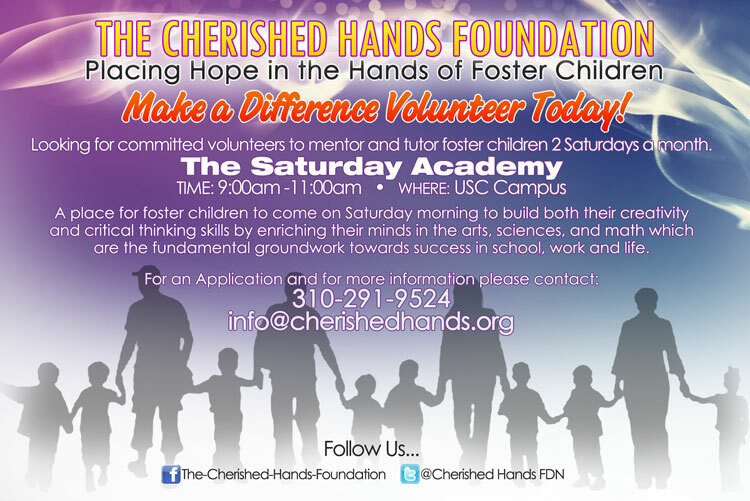 A place for foster children to come on Saturday morning to build both their creativity and critical thinking skills by enriching their minds in the arts, sciences, and math which are the fundamental groundwork towards success in school, work and life. 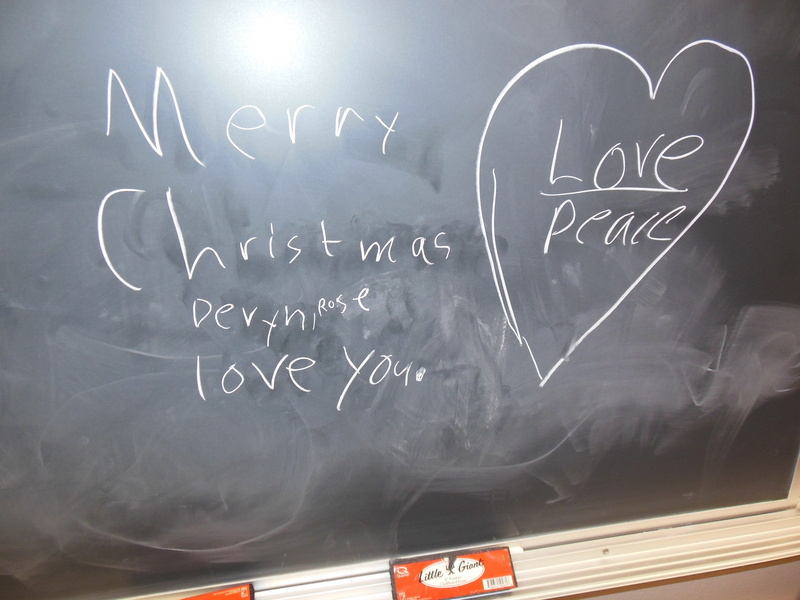 Fulfilling holiday wishes One child at a time. JOIN & LIKE US ON FACEBOOK! 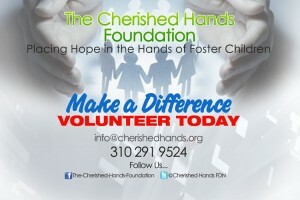 ©2012 The Cherished Hands Foundation Inc.